In an announcement made today, Western Digital (WD) agreed to acquire Hitachi ’s Global Storage Technologies division for roughly $4.3 billion. With this acquisition, WD, an industry leader in consumer and entertainment-class storage solutions that recently ventured into the solid-state drive market, no-doubt aims to become a major player in the enterprise storage market. Steve Miligan, president and CEO of Hitachi GST said "Together we can provide customers worldwide with the industry's most compelling and diverse set of products and services, from innovative personal storage to solid state drives for the enterprise," Mr. Miligan will join WD as president, reporting to John Coyne, CEO of WD. Today’s announcement has sent shares of Data Storage Stocks soaring [index up over 2%]. 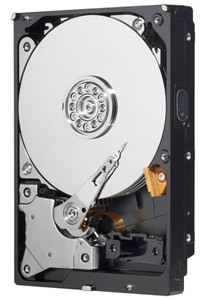 Western Digital (WDC) traded up over 15% today while other drive makers like Seagate Technology (STX) enjoyed gains close to 10%. Another winner today is OCZ Technology Group (OCZ) which closed the day up 15% but not due to WD’s announcement, rather because it beat fourth-quarter 2010 estimates and recorded $64 million in revenue. That is a gain of 100% over the previous year. No doubt storage is getting smarter, faster and now leaner with one less company competing. Does this mean we may be seeing more SSD-HDD hybrids on the market? new Hitachi 1tb - high temperature ! Should you reformat My Book HD to NTFS?